Will found himself more distracted than usual. 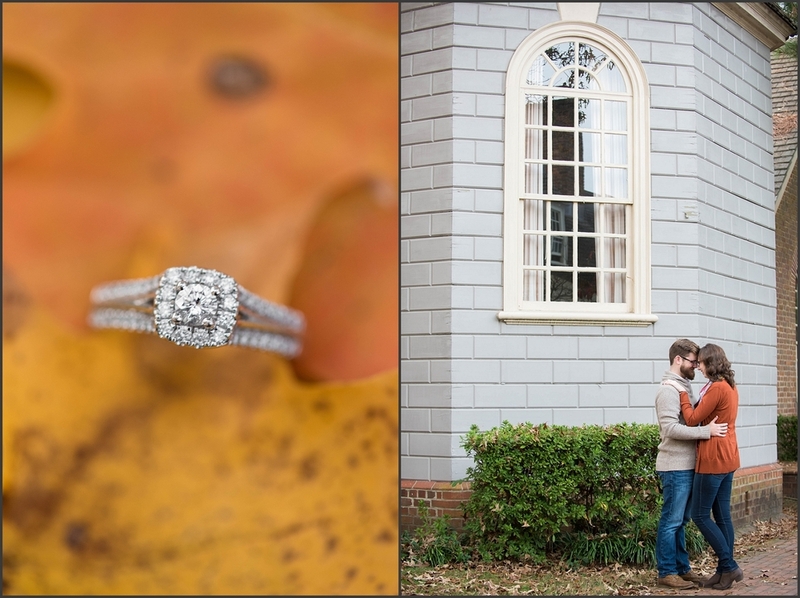 As crazy as it sounded, he was convinced he had just met the girl he was going to marry. Sparkling green eyes, wavy brown hair, the cutest freckles. She was beautiful. There was no question about that. But there was something else about her... something in her easy-going manner, her genuine interest in others, the way she carried herself.... there was a lot about Maddy that he found compelling. But something about a relationship with Will intimidated Maddy. As their group of friends got closer and they spent more time together, she found herself avoiding spending one-on-one time with him. But Will wasn't going to give up easily. He knew what he saw for them and was willing to wait until she saw it too. And then one day a full two years later, Maddy asked if she could drop by his house to talk. She wanted to mend their friendship. Will saw the opportunity and he insisted on buying her dinner. And at the end of the night, Will laid it all on the table. He couldn't just be her friend. He wanted a relationship or he would have to walk away and break ties with her completely. It was all or nothing. In or out. No more avoiding, no more excuses, no more running. The silence between them seemed to last an eternity to Will. But as Maddy lifted her eyes, he could see the happy sparkle in them. He knew before she even spoke the words. She was done running. 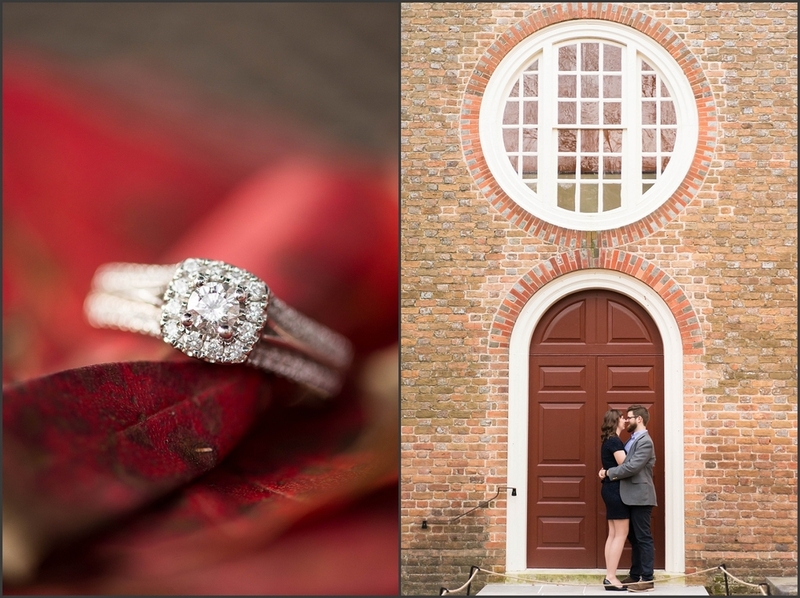 Maddy & Will, I absolutely loved meeting you (and your entourage) in Colonial Williamsburg for our session. There are just so many perfect little nooks there! 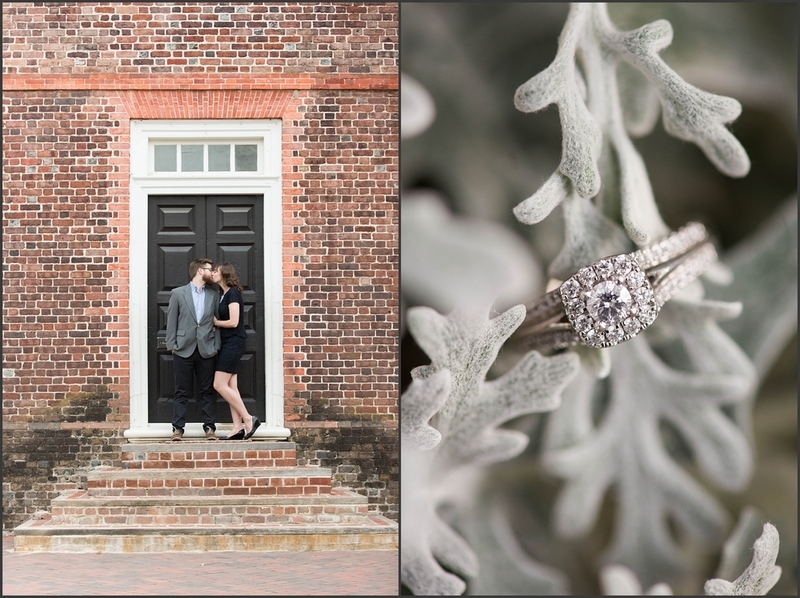 I hope you love these images as much as I do and I can't wait for your wedding next year! It's going to be spectacular! 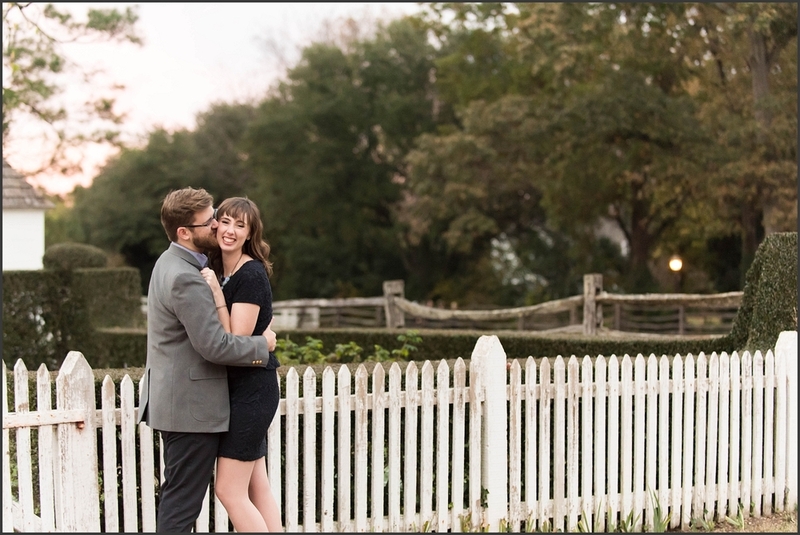 Ya'll, this is my very favorite portrait spot ever... 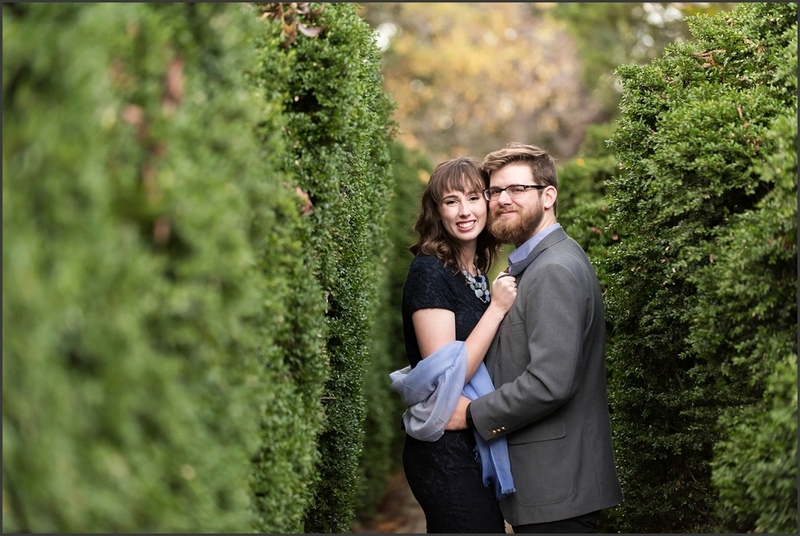 It has that romantic secret garden feeling... as if these two were on a date and I wasn't even there. 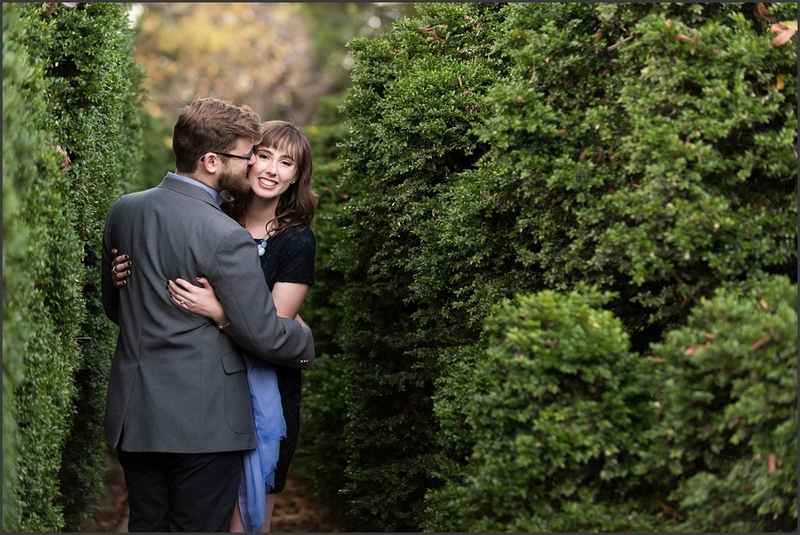 It's a bit of a drive to Williamsburg, but if every CGP couple asked for photos in these hedges, I'd be happy to do it. 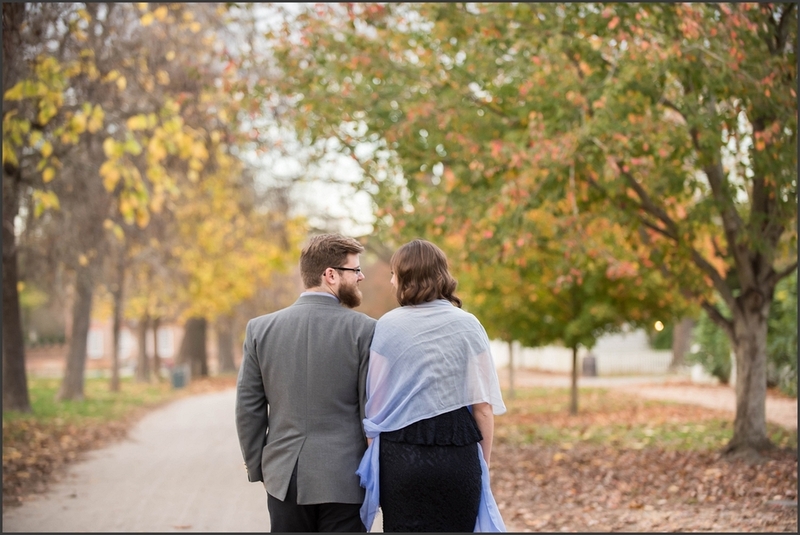 Also, fun fact about this session... some of these portraits were taken by my husband!!! 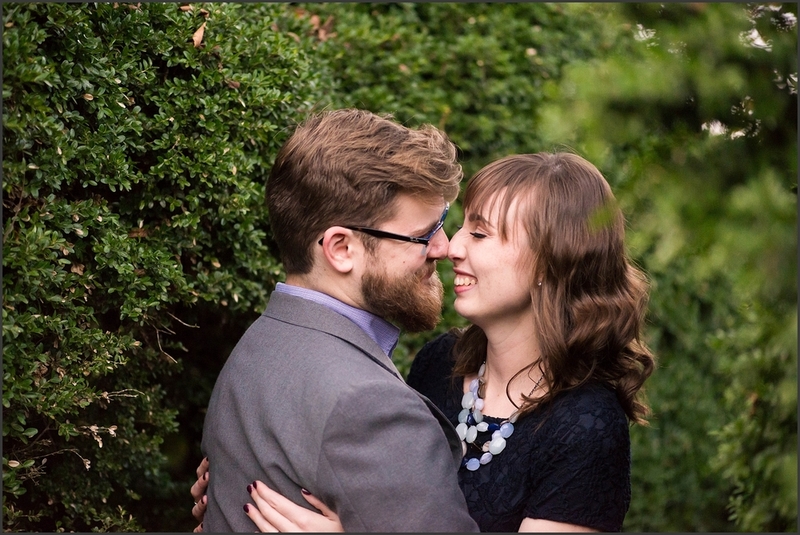 He's been right alongside me for this entire photography journey, but this was his first time shooting a portrait session with me! I'm so proud of him!